SHE IS SO YOUNG, SHE IS GOING TO HAVE A LONG LIFE! Does Chirlane McCray deserve an apology? In a piece published in New York Magazine last week, the first lady of New York City described her feelings about having her first child: “I was 40 years old. I had a life. Especially with Chiara—will we feel guilt forever more? Of course, yes. But the truth is, I could not spend every day with her. I didn’t want to do that. I looked for all kinds of reason not to do it.” When the tabloids deemed her a “bad mom,” the mayor’s office demanded a mea culpa. Lots of new mothers have mixed feelings about spending all day with an infant. Babies cry a lot. They keep you up all night. They make you look (and feel like) a cow. And for the first six weeks they don’t even smile at you. If you call your mother or your sister or your best friend or yours truly to complain, we will all sympathize. If you tell New York Magazine that you were looking for all kinds of reasons not to spend every day with your child, you’ve lost a lot of mothers. This is Ms. McCray transparently trying to brandish her feminist credentials, to show how difficult it was for a woman who defined herself by her job to work part time while her kids were young and to become what New York Magazine calls “the default parent,” having to pick up the kids at 6 p.m. even while her husband stayed later at the office. 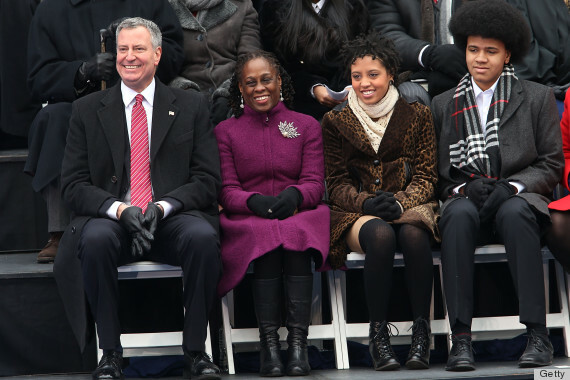 Ms. McCray and her husband, Mayor Bill de Blasio, love to talk about how they are “partners” in work as well as family. But their liberal fan base may wonder why it was that Ms. McCray was the one to sacrifice her career for her family. Heck, if they are such equal partners, why isn’t she the mayor? Ultimately, Ms. McCray’s interview is just an exercise in the politics of personal confession. And the demand for an apology is simply a desire to have her cake and eat it too. Ms. McCray offered this tell-all, she explained, in order to make black lesbians feel less alone. Just like her statements about being a bad mother are presumably offered in order to make other women feel better about their own mixed feelings about motherhood. Never mind that her own children will have to read these confessions. Ms. McCray’s daughter has of course followed in her mother’s footsteps. In December, shortly before her father took office, Chiara released a video about her struggle with depression and her drug and alcohol problems. This entry was posted in FAMILY LIFE, HOMOSEXUALITY, LGBT, LIBERALISM, MORAL RELATIVISM, POLITICAL CORRECTNESS, POLITICAL LIFE IN AMERICA and tagged Chirlane McCray, Mayor Bill de Blasio, McCray, New York Magazine. Bookmark the permalink. 1 Response to SHE IS SO YOUNG, SHE IS GOING TO HAVE A LONG LIFE!